Hispanic weavers produce their textiles on treadle looms like the one to the right. Such looms were introduced to the Americas by the Spanish in the 16th century. While some American Indian weavers also began using treadle looms, most continued to rely on vertical and horizontal looms. 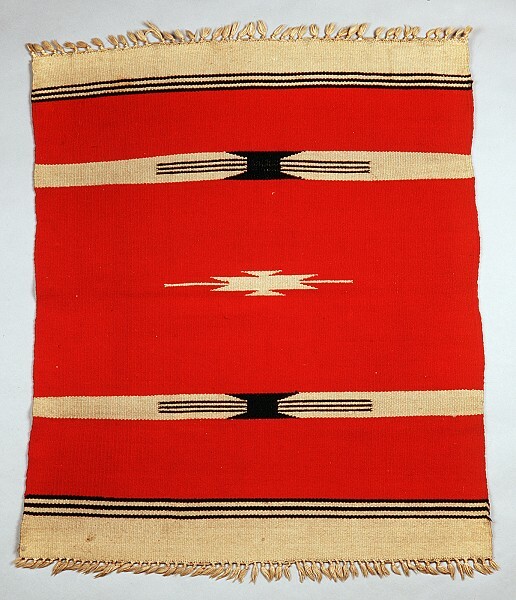 Initially, the Hispanic weavers in New Mexico were predominantly men, though women and children participated in different parts of the weaving process. During the Great Depression, more women began weaving as male members of their families left their communities in search of work. By 1983, more than three-quarters of Hispanic weavers in northern New Mexico were women. 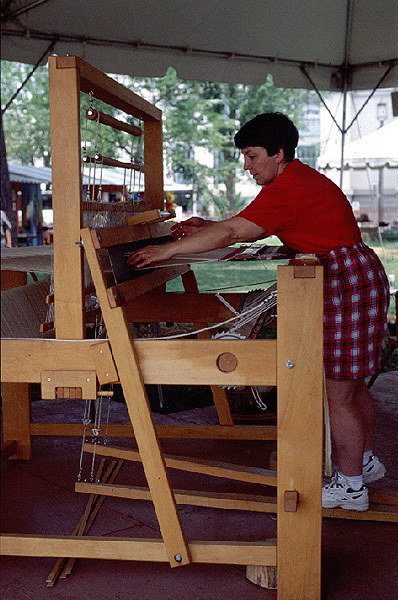 Top: Weaving on a treadle loom. Demonstration by Helen Manzanares of Chama, New Mexico. Photographer: María Sprehn Malagón. Smithsonian Folklife Festival 2000, Washington, D.C.